There are over 16,000 individual species of fly in North America alone. In fact, flies are located in every corner of the planet except for the coldest parts of the polar ice caps. 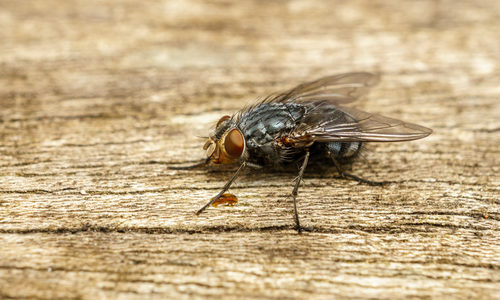 There are many different varieties of fly that are known for infestations in the U.S. including black flies, cluster flies, crane flies, deer flies, flesh flies, horn flies, horse flies, sand flies, and so on and so forth. The life cycle of a fly can range from days to years depending on both it’s location and specific species, but all flies undergo a complete four-stage life cycle. This life cycle includes the following stages: egg, larva, pupa and adult stages. Flies survive longest in warmer temperatures (like those most commonly found in the south) and their preferred climate, between 75 and 80 degrees fahrenheit, are the temperature that many homes stay at. There are over a hundred different pathogens associated with the common housefly. These potential dangers include salmonella, staphylococcus, E. coli, shigella, and beyond. The presence of flies in or around your home or business can lead to the transition of these diseases to humans and animals. They can spread hepatitis, typhoid, cholera, dysentery, and so on. Long story short: flies may seem innocuous but they can be incredibly dangerous if left to infest a home or business freely. Why do I have flies? Different flies are interested in different things but the number one thing that brings a wide variety of flies into a home or business is the presence of filth. Filth can mean general mess but it can also mean the presence of decomposing flesh, such as previously unknown corpses of decomposing wildlife. There are a few specific varieties of fly that have more particular interests, such as fruit flies being drawn in by – you guessed it – fruit, drain flies looking for moist, standing water, or cluster flies being drawn in by existing earthworm burrows. Long story short, you want to keep your property clean and clear. How can I prevent flies? Prevent flies by keeping your home or business clean and clear from potential sources of food, shelter, and water. Keep a tight lid on any garbage cans in or outside of your home, keep yard debris cleaned up, and regularly check the perimeter of your property to make sure there isn’t any wildlife decay that could draw flies in. If you find an existing breeding source of flies, call professionals to help you clean it up in a way that keeps them from returning. How can Gregory Pest remove flies from my home or business? When you hire us to evaluate how extensive your home’s pest problem is, an expert exterminator from Gregory Pest Solutions will be your full-service pest solutions provider specializing in the effective, identification, removal, and prevention of flies from your home or business.